Ballet for children No entries! Hip Hop for kids SAT 10:30 - 12:00 Entries in progress! Children - recreational dance classes THU | SAT 19:00 - 20:00 | 10:30 - 12:00 Entries in progress! Teens - recreational dance classes WED | SAT 19:00 - 20:00 | 12:00 - 13:30 Entries in progress! Kids and teens - advanced recreational dance classes THU | SAT 20:00 - 21:00 | 12:00 - 13:30 Entries in progress! Pilot project WED | FRI | SAT 20:00 - 21:00 | 21:00 - 22:00 |10:00 - 12:00 Entries in progress! Parents, do not forget your children while you learn how to dance. Kids are the joy of every dance school. Primary school children follow the Zagreb Dance Centre by Nicolas program throughout the year (all kinds of dances are continually taught). We are particularly happy if, after the completion of the course, we can admit a child into the dancesport club, to join the best dance contestants. We look forward to the arrival of the youngest to dance classes, so we have a special offer for little children (3.5-6 years of age) enabling them to socialise, dance and have fun with their dancing friends. Our dance playgroup expert teacher educators have specially adapted program for the smallest children. 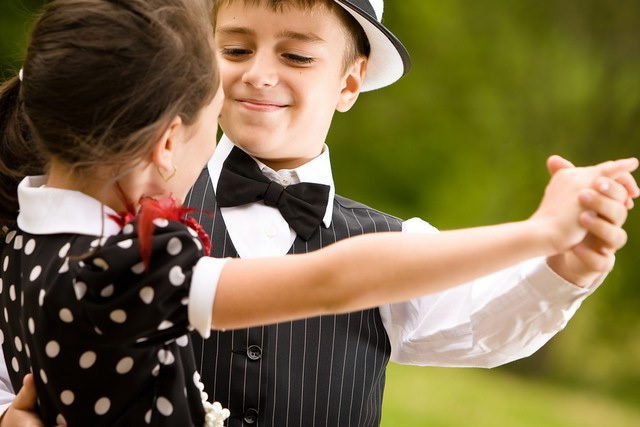 Let them socialize and have fun while learning their first dance steps. Dance playgroup (pre-school children 3.5 – 6 years of age), please check the time table above. We look forward to your arrival! Your Zagreb Dance Centre by Nicolas!